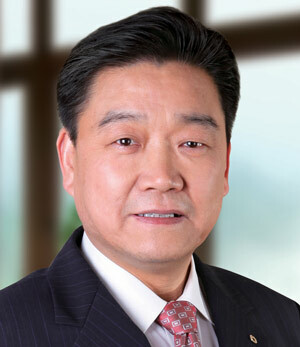 Zhang Jianguo is president and chief executive of China Construction Bank (CCB) . Global Finance: How will China´s financial system change as interest rates liberalize, capital markets develop, and financial channels open? Zhang Jianguo: According to China's 12th five-year plan, the government will deepen reform of financial institutions, develop a multilevel financial market system and advance the liberalization of interest rates. The operating environment for commercial banks will undergo profound changes. Competition will intensify, but at the same time opportunities will open. Financial disintermediation and interest rate marketization may lead to a narrowing of interest rate spread, and traditional earnings models [for banks] will no longer be sustainable. In response, CCB is shifting away from reliance on credit as a product and on interest spread for earning. Instead we are diversifying our business and earning channels. In the first quarter, our fee income increased to 22% of our operating income, one of the highest among major domestic banks. CCB has, based on changes in regional economic development, redoubled efforts in building up physical channels and various types of electronic channels domestically. GF: What are the major risks for the Chinese and global economies? Zhang: From a global perspective, the three major economies of America, Europe and Japan have undergone deep-seated economic downturn since the global financial crisis of 2008. Although the downturn for some economies has moderated, they still have not recovered. Since 2008, new crisis flashpoints have turned up periodically: In America, after the subprime crisis, there was turmoil in credit card and automobile loans, while the eruption of sovereign crises in some European countries has quickly spread. With China's foreign exchange reserves, the possibility of a financial crisis passed directly from other countries is small. But it is a colossal challenge to its real economy to achieve industry upgrading and structural adjustment during an economic downturn. The possibility of China's real economy continuously maintaining previous high growth rates has diminished, while the collapse and bankruptcy of some enterprises in sectors with overcapacity is inevitable. So the largest risk confronting the financial system is pressure on the asset quality of banks brought about by a slowdown in economic growth.